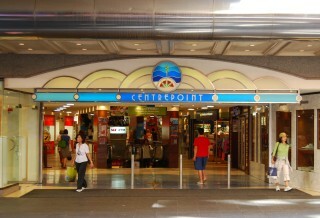 Below the tower is Centrepoint shopping centre and the Pitt Street Mall, with restaurants, cafés and a food mall. Fashion and accessories, jewellery, beauty and health, books, cds and dvds and much more are all available. Sydney Centrepoint Tower is presently the tallest structure in Sydney Australia, its height only being exceeded in the Southern Hemisphere by the Q1 building on the Queensland Gold Coast at 309 metres high. At the top, it has a lookout gallery which you can visit. Melbourne’s Eureka Tower, which is actually classified as a building as people live in it, reaches a height of 298 metres. Located at 100 Market Street, between the Pitt Street Mall and Castlereagh St., the tower offers views of Sydney ranging from the coast to the Blue Mountains, as well as Sydney Harbour and points beyond. You can either climb the 1504 stairs (count them) to work your way to the top of the structure. Or just take the lift. At the top there is also a revolving restaurant, giving you 360 degree views of Sydney slowly rotating past. You can see other landmarks, including the Sydney Opera House and the Sydney Harbour Bridge, as well as where the Olympic Games were held. The tower’s construction was begun in 1975 with the tower being opened to the public in 1981. 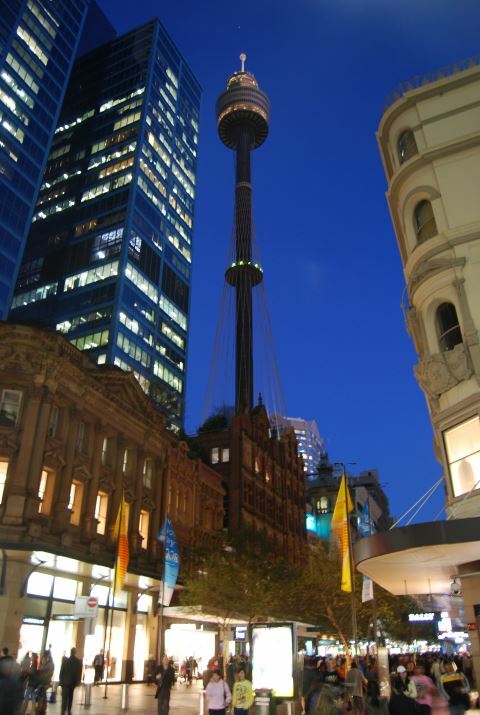 Sydney Tower is conveniently located next to the popular Pitt Street Mall and can be easily accessed by bus, train and taxis. Map of Sydney CBD showing Centrepoint and the Pitt St. Mall Sydney Maps. More about the city center landmarks and attractions Sydney CBD. Hotels in the Sydney CBD include a wide range of styles to suit almost any budget.